On Monday, my friend Claire and I piled in her van with the kids and headed to the coast. It was a HOT day but we had lots planned and were looking forward to that sea breeze and dipping our toes in the cool water. 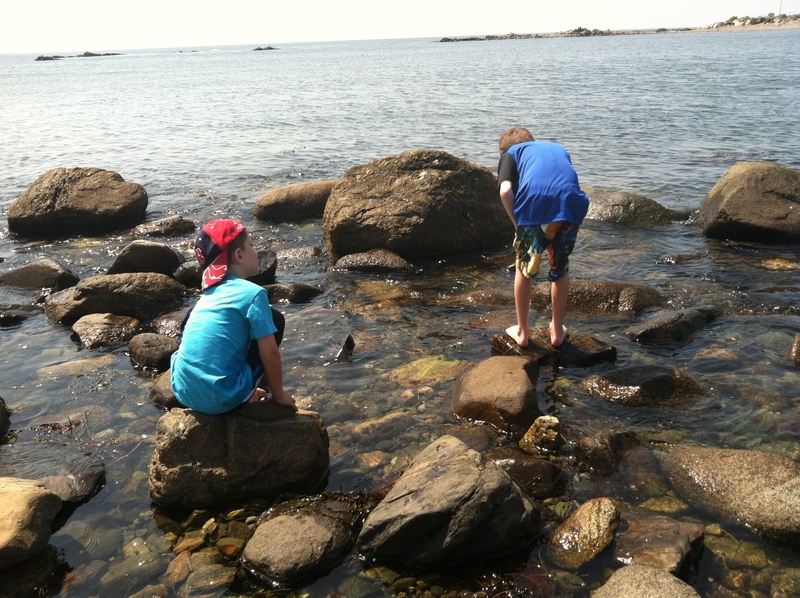 We started off our adventure with some tide pooling. 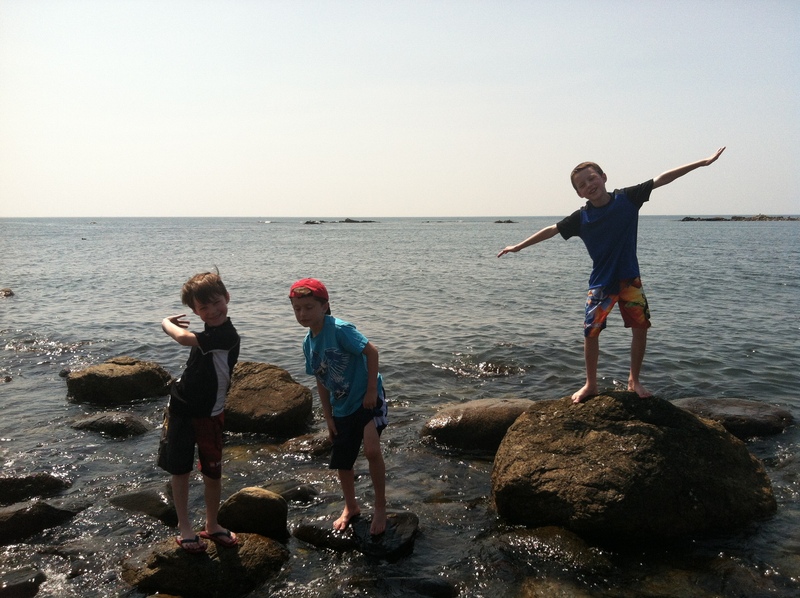 The little ones stuck with Claire by the shore and the boys and I went climbing over the rocks to find life. We found lots of different seaweeds, periwinkles, mussels, barnacles and two crabs “wrestling” 😉 It was so much fun to explore and I am not sure who had more fun, I think it was me! 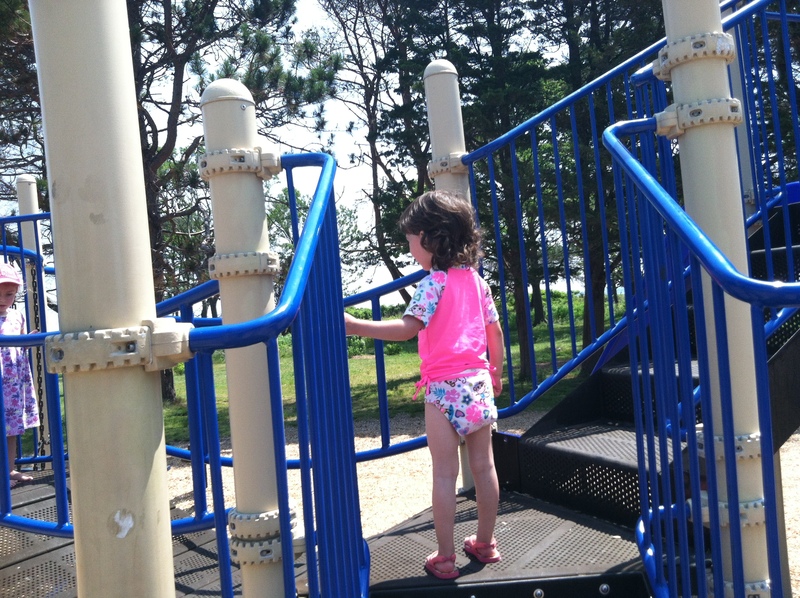 After tide-pooling, we headed to the playground for a picnic. The kids had so much fun playing on the hot playground but this mama was melting fast. After a nice lunch under a shady tree with the ocean breeze, we headed to the Seacoast Science Center for some “air-conditioned” fun. In the center we learned about whale behavior, explored the touch tank where they had sea urchins and sea stars and checked out all the aquariums they have. They have seahorses, a blue lobster and even a skate. It was fun to watch the kids reactions to the different tanks. 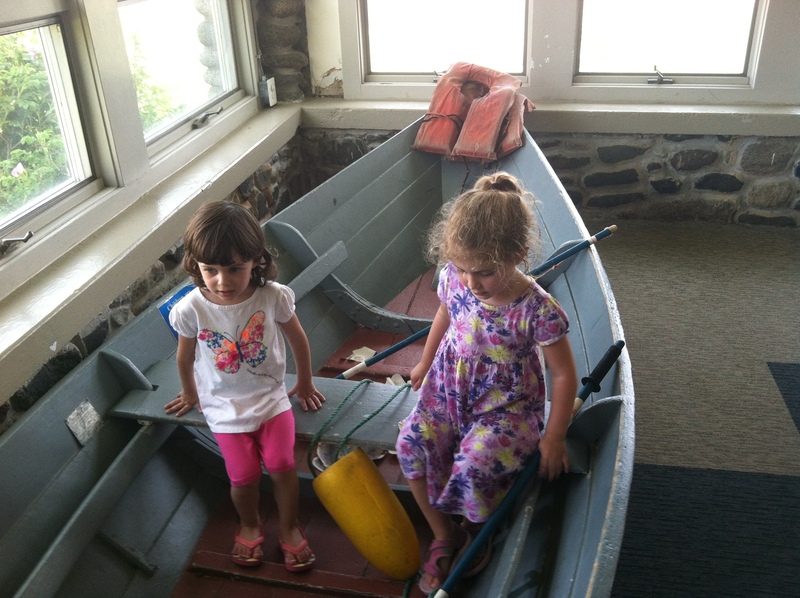 The kids then had fun “fishing” from the fishing boat, driving a remote controlled submarine and pretending that they were driving a real boat. It was a great day and we really enjoyed spending this special time with good friends!